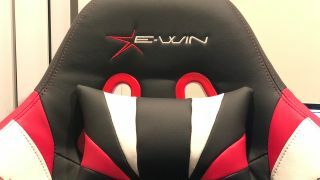 Priced at $359 with free shipping, the E-Win Hero series may seem expensive, but the difference in quality over standard office chairs is substantial. For value per dollar, the chair is a bargain. The metal frame and dense foam seat look like they can last a lifetime. And just as with mechanical keyboards, once you’ve used a proper chair, you’ll be wondering why you didn’t make the switch sooner. But with all that said, there are caveats. As I said earlier, the E-Win chair is quite firm. Those who realize the value of good posture will appreciate this, but some may find the firmness to be uncomfortable. The ergonomics of the chair force a healthy posture. Sitting cross legged, for example, is difficult due to the curves on the seat. Again, this can largely be seen as a positive, but is worth mentioning for full disclosure. Overall, the E-Win Hero Series receives top marks and comes highly recommended. Note: This is a review post from MMOS.COM.